Even though Kobe and the Lakers are done in the playoffs, Kobe’s shoes are not! 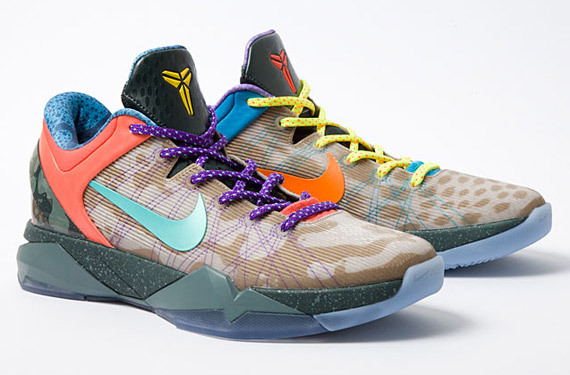 The next installment in the Nike Zoom Kobe 7 are called the “What the Kobe?” The shoe is a mashup of the “Cheetah & Christmas” editions. Whatever they were going for on this shoe, I guess they got what they wanted lol. Stay tuned for the release date.